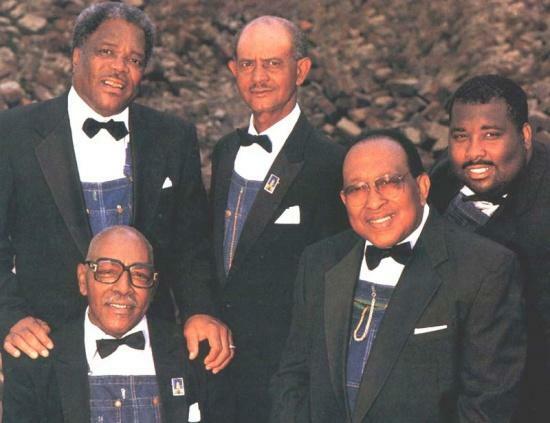 Nashville’s best-known, most influential and certainly longest-performing African-American acappella gospel quartet, The Fairfield Four, with a history that spans virtually the entire twentieth century and beyond, will perform at The Arts Center, May 21st at 7:30PM. The Fairfield Four stand at the crossroads of the American experience, that extraordinary juncture rooted in gospel and branching into virtually every form of musical expression from blues to R&B, soul to rock & roll and beyond. The extraordinary group has been honored countless times for their contribution to the heritage of jubilee gospel singing. Carnegie Hall has twice tipped its hat to the group and had them perform as part of their centennial celebration. They have also appeared at the New Orleans Jazz & Heritage Festival, the Smithsonian Institution’s Festival of American Folk Life and the Lincoln Center’s Folk & Heritage Festival. This group is a living link to the roots of a mutually shared musical tradition, singing songs that carry a timeless message, with voices lifted up in the purest praise. This performance is sponsored by Bob Parks Auction and is part of the Coach Micheal Burt Concert Series. Ticket prices are $18 for adults with $3 discounts for seniors, students and groups of ten or more. The Arts Center is located on 1424 John Bragg Highway, just west of the town of Woodbury, approximately 20 minutes from Murfreesboro, Manchester, and McMinnville and one hour southeast of Nashville. Office hours are 10:00a.m. to 4:00p.m., Monday through Saturday. For reservations or more information check our website at HYPERLINK http://www.artscenterofcc.com www.artscenterofcc.com or call 615-563-(ARTS) 2787 or 1-800-235-9073.